Every commercial building and every business must make a long lasting impression to their clients or customers. An establishment’s window plays an important role in doing so. That is why we understand the needs of business owners in having a reliable and effective commercial window cleaning service in London. We at The Fast Window Cleaning offer services to commercial establishments in order or them to maintain the aesthetics of their building. We offer our services to small buildings as well as large corporations. We will transform that dirty window into an elegant, spotless and sparkling part of your building. We will help you maintain a good impression to all individuals who will visit your office. We deal with both the interior and the exterior aspects of your office windows and we will clean it thoroughly and meticulously. 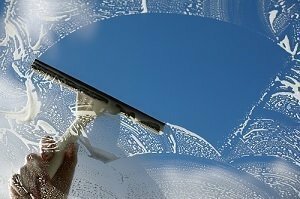 Our specialist window cleaners are well trained and they all years of experience in the cleaning industry. They use the appropriate techniques as well as the right solutions to clean your windows. We also use the right method to reach windows in high places and we always take preventive measures, therefore, we can assure you that it is safe and effective. Our window cleaners are fully insured and they are members of the British Window Cleaning Academy (BWCA). Get that elegant visual appeal for your office and commercial building by calling us now on 020 3322 8261. Ask for our cleaning prices or complete our online booking form and our team will give you a call back.